It’s unavoidable in most photographs of transportation. 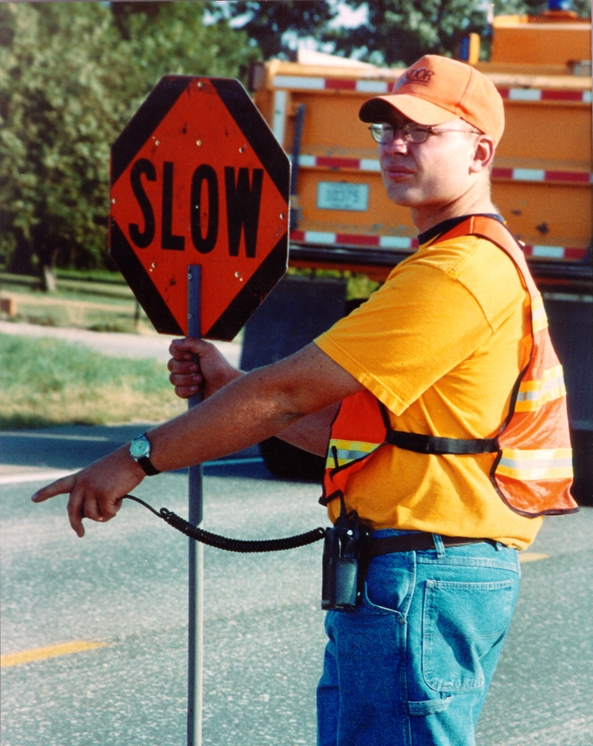 A signalman working for the Nebraska Department of Roads. But don’t let it overwhelm you (or your photographs)! We read a fascinating article on color theory in photography and it opened our eyes (pun intended). When you’re out shooting, be conscious of how one color (orange, yes, but other colors, too) can add depth, interest and excitement to your photos. Find out how one color can even jump out and emphasize your subject. Orange you glad we posted this?